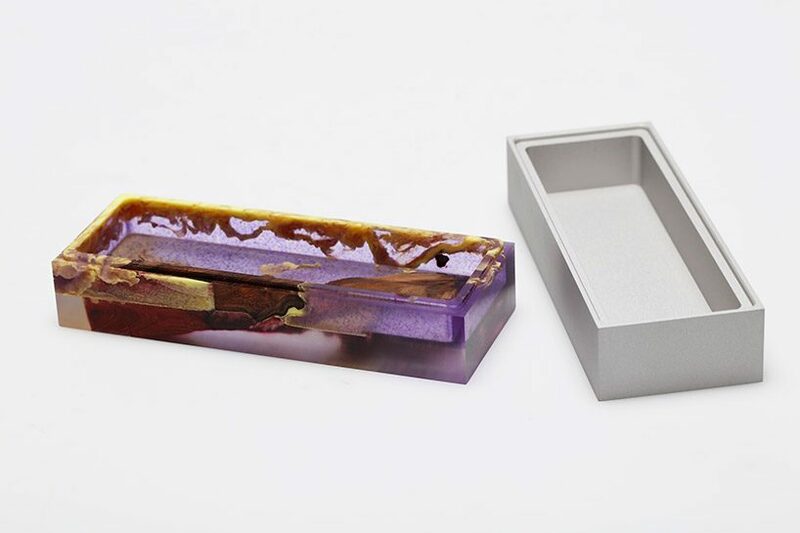 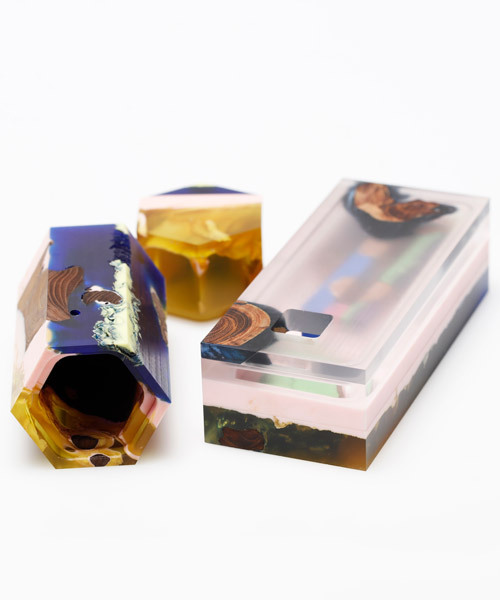 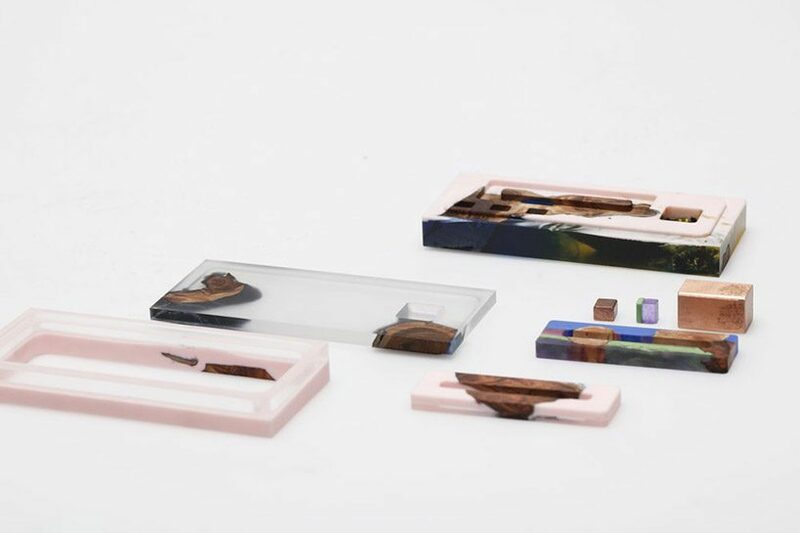 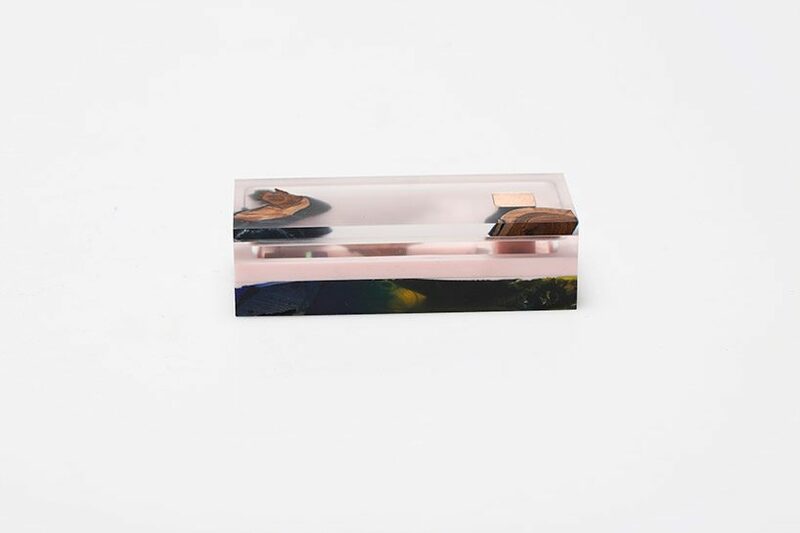 seeking to unravel the dialogue between natural and man-made, the royal college of art graduate designer jie wu reflects on the modern life crafting small boxes from wood and resin. 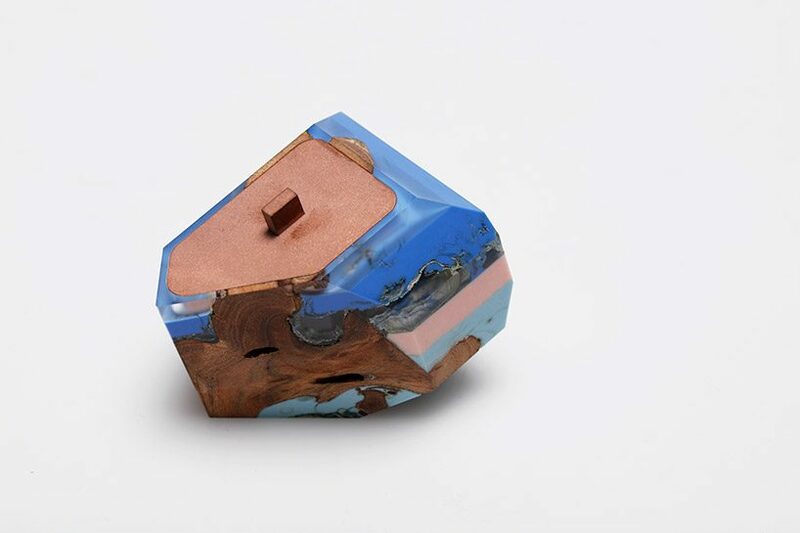 the materials clash and merge in different conditions to create a variety of marble-like patterns. 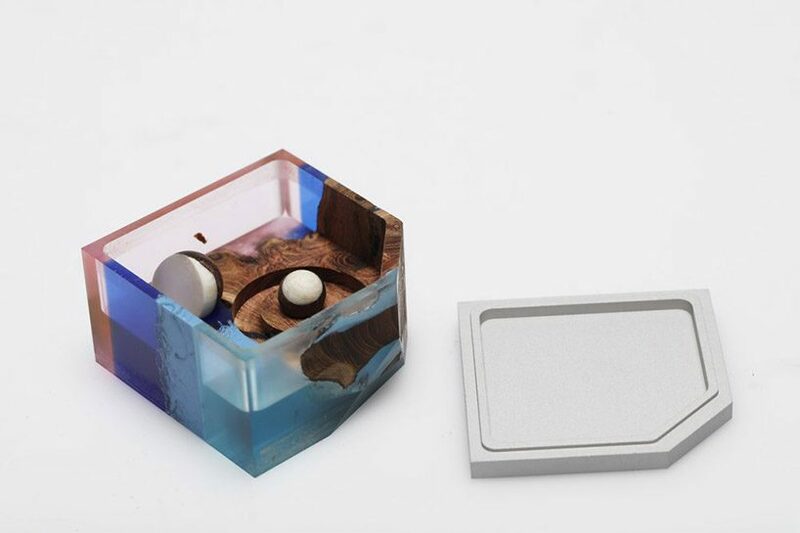 the designer claims that — with all their delicacy — the boxes are the chimeras of today’s anthropogenic world. 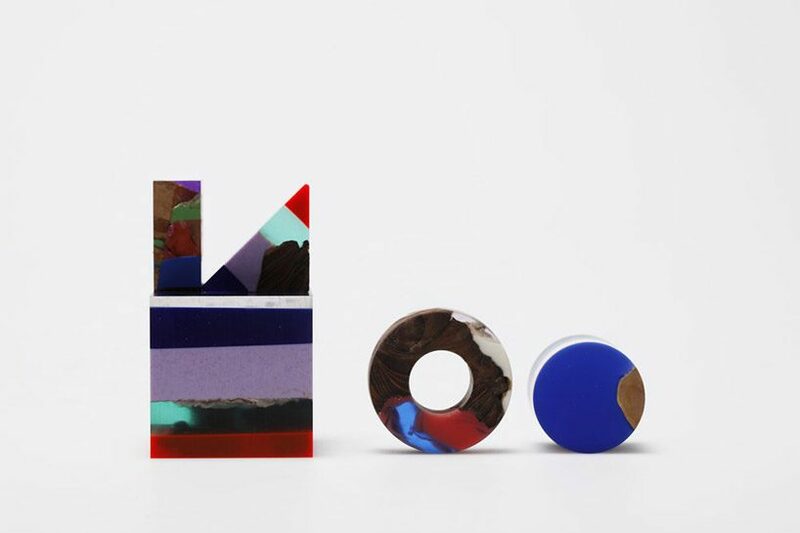 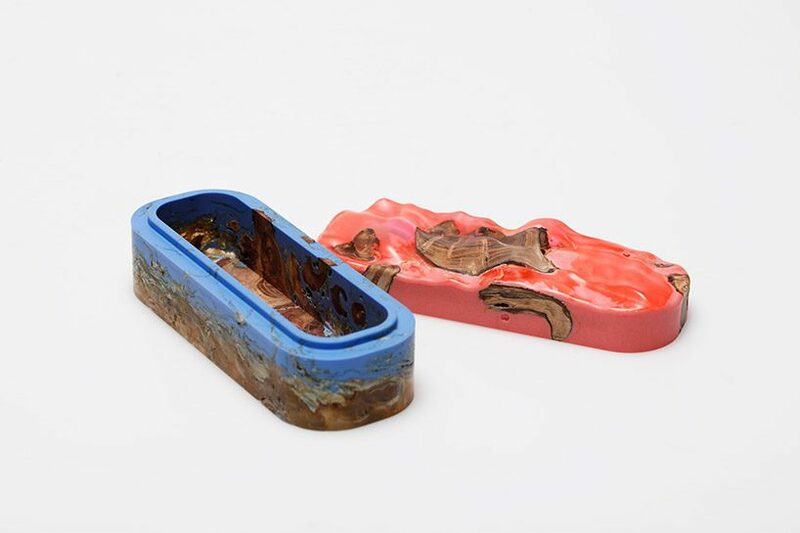 aiming to invite the viewers to reflect on their own role as modern human beings, the pieces show the controversial mix of materials reminding us of the careless use of plastic in the world. 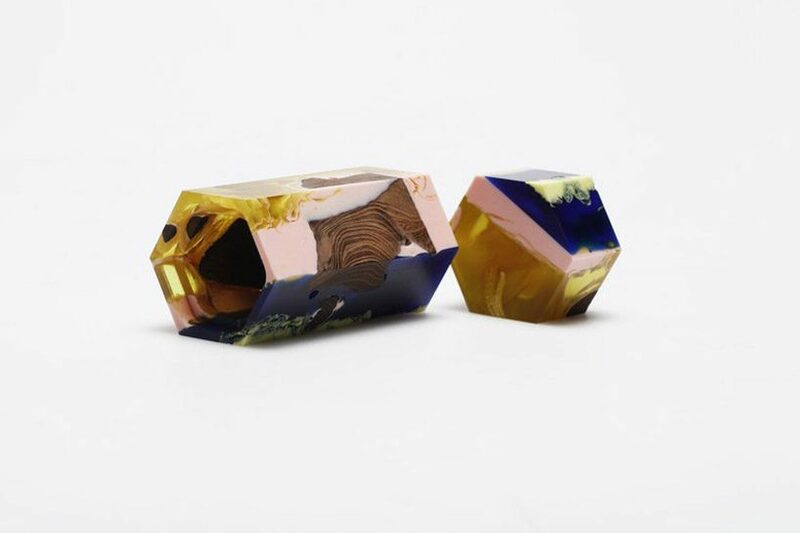 jie wu’s boxes will be part of future heritage 2018 at decorex show from 16-19 september at syon park, london.